The internals powering your smartphone have improved extensively to the point where you’re seeing chipsets and processors running at the 10nm FinFET technology. A wide range of components, including the RAM and storage, have not only become faster, but more efficient to conserve battery life but if you’ve not noticed the following, smartphone batteries still rely on lithium ion technology. Now, why is it that after just a year of using your smartphone, its battery life is not what it used to be the first time you removed it from its crisp and flawless packaging? It is all thanks to the chemical reactions taking inside that lithium ion (or lithium polymer) battery and here’s a detailed explanation as to why the battery life worsens with time. How does battery life in a smartphone get worse as time goes by? A negative side (which is called the ‘Anode’ and comprises up of Graphite and Copper): This negative side is where all the potential energy is stored. A positive side: (which is called the ‘Cathode’ and comprises up of Aluminum and Lithium): This positive side is where all the used energy is stored. In between these two layers, you have something called an electrolyte polymer, which essentially makes a bridge so that ions are able to move between the two aforementioned sections. With these three layers sandwiched together, there is a chemical reaction taking place which is what continues to make your smartphone function. So for example, when you power on your phone for the very first time, you have created a path for electrons to flow between those three layers. Travelling of the electrons start from the anode and they are in a very high-energy state. Since they are in a high-energy state, they will move to the cathode because they will be searching for a lower energy state. The movement of these electrons from the anode to the cathode is what gives your mobile device energy to remain powered on. However, this is also where the problem starts, as when the electrons travel from the anode to the cathode, they will leave their lithium atoms behind during this journey. The lithium atoms are currently in a positively charged state, and they want to revert back to their natural state, which is more commonly known as their neutral state. In order for these lithium atoms to go back to their original state, they begin to look for lost electrons and they do this by traveling towards the cathode. However, when those lonesome positive lithium ions reach the cathode, they are unable to location those electrons with which they can return to their neutral state. As a result, there is a massive build-up of positive lithium ions at the cathode and their separated electrons. The build-up of these lithium ions is what makes lithium ion batteries rechargeable. So when you have plugged in your smartphone, the same process of searching for lost electrons is taking place, but this time at the anode instead of the cathode, and this process is ready to release energy once more, where the lithium ions will once again go to the cathode in search of their lost electrons. This entire process is called a ‘one complete charge cycle’. Now every time this process takes place, the material in the cathode wears down, which is why is it unable to hold as much electrical charge as when you first removed the smartphone out of its packaging for the first time. However, this change does not take place overnight which is why most manufacturers claim that after 300-400 charge cycles (meaning when the battery has been completely discharged from a smartphone from 100-0 percent), the lithium ion battery is unable to hold 100 percent of its electrical charge. 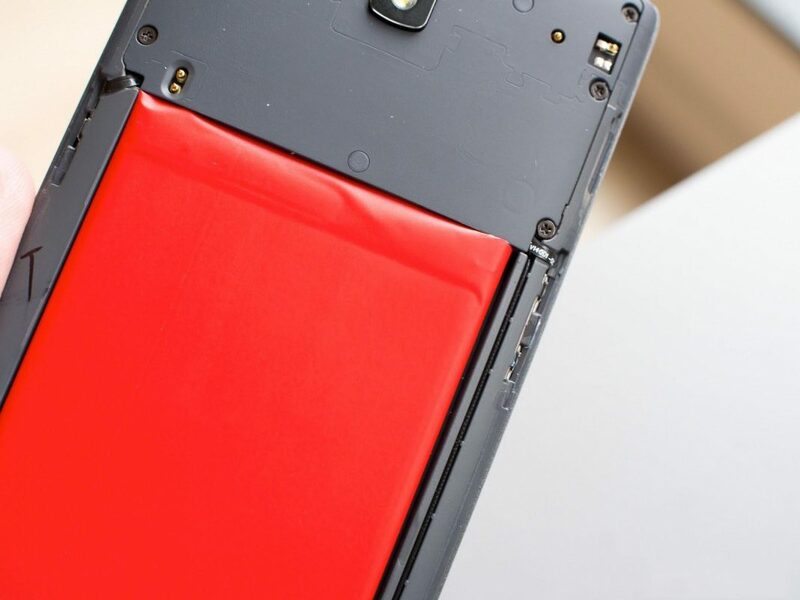 If you allow your smartphone’s battery to completely discharge or reach till 0 percent, the material in the cathode wears out even faster, meaning that your battery will not be able to hold an electrical charge after a shorter period of time. What is the expected life cycle of a lithium ion battery? In most cases, lithium-ion batteries have a shelf life span that lasts between 2-3 years, but there are ways to get the most of your smartphone battery. How to maintain a healthy smartphone battery for as long as possible? Before we jump in on this, please note that there are some factors that you are not able to alter, so focus on the areas where you are able to make the necessary changes and you will be able to extend the shelf life of your smartphone’s battery. What factors are you not in control of when it comes to extending the smartphone’s battery life? Extreme temperatures are one of them. If you live in an environment where the mercury rises or drops more as opposed to other regions, you may experience that the smartphone is unable to hold an electrical charge after only a few charge cycles. What factors are you completely in control of when it comes to extending the smartphone’s battery life? Switch off features such as Bluetooth, Wi-Fi, and others when you are not using them. This helps prevent battery drainage a lot faster. A smartphone’s display brightness level should ideally be at 50 percent to get more screen-on time. Use low-power mode whenever you can. Make it a habit not to allow your smartphone’s battery level to completely discharge or reach 0 percent as by doing this, you will wear out the material in the cathode a lot faster. Now that you are familiar with the workings of a smartphone lithium ion battery, should we expect that you will take better care of your battery? Let us know what you think of this article in the comments below.